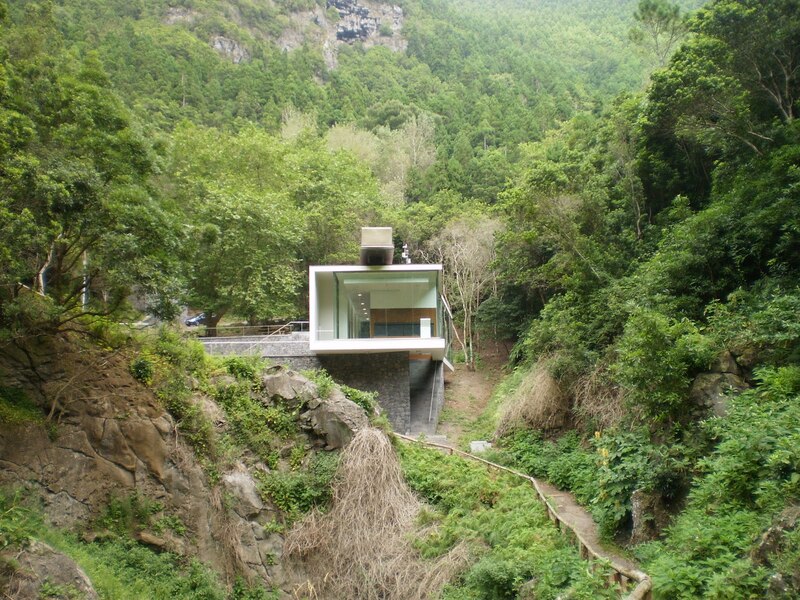 The anthropic elements seeking harmony with the natural surroundings of the Graciosa landscape. From the viewpoint of Mount of Our Lady of Help, by a simple hermitage may be seen the white houses of the village of Santa Cruz, close to being the windmills and the lattice of the walls delimiting the vineyard plots. 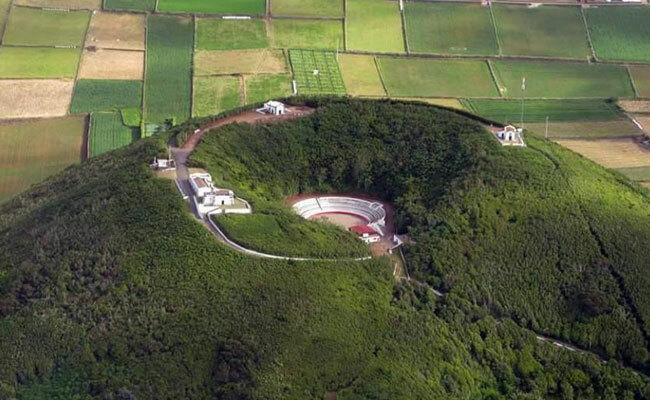 Before descending to the village to look at the details, it is necessary to highlight one of the most curious associations between the inventive spirit of man and the geological nature of the Azores: a bullring, millimeter circular and built inside a volcanic crater. In Santa Cruz, the typical houses and streets of cobblestone pavement, which branch from the large central square, where emerge the bandstand, water tanks and brackish pines. Already the Church Village Matrix dates back to the late sixteenth century, but its delayed reconstruction, offered her baroque marks. 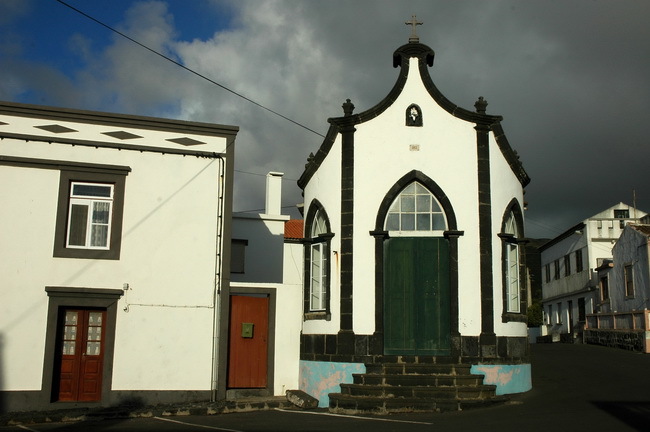 The architectural heritage of Graciosa is preserved in various types of buildings, including churches, chapels, houses, windmills and a curious “water architecture” that is associated with a century-old network of reservoirs and water supply systems drinking. 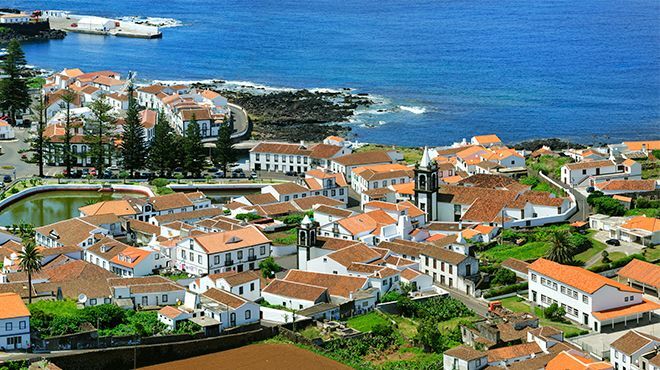 In the village of Praia, laced curtains come peeking behind glasses, fishing boats pintalgam the harbor and local people animates day. Recovered, Mills hypnotize look, the result of brightly colored doors and windows already inside, they are prepared to serve as temporary housing, a tourist industry that takes advantage of the patrimonial heritage. 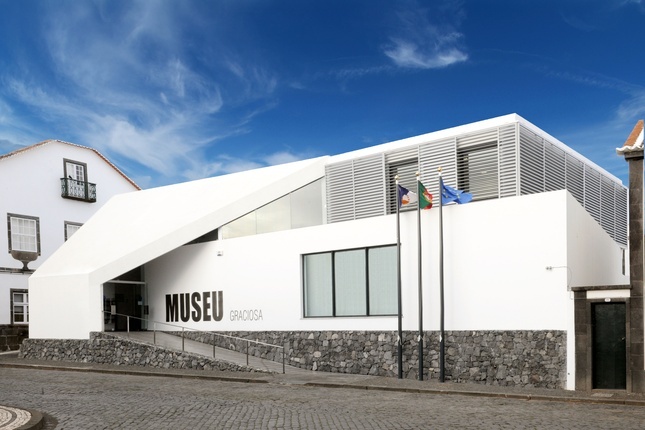 To promote the ethnography of the island, the Graciosa Museum is composed of six exhibition cores that reveal the traditional activities such as agriculture, vineyards, cereal production, whaling and ancient crafts through the exhibition of equipment, utensils and historical documents. Already its core features the furnished interior and decorated in a typical house of Graciosa. And to complement this collection, collections of coins, postcards, newspapers and photographs are presented to the public. Still keeping alive the tradition of is combine the already rare “dumb” corn, found by the roadside. In Limeira locality there are those who put cobs to dry in the construction of four “legs” and triangular shape; milled grains, flour gives the corn bread, cooked and consumed within the home. 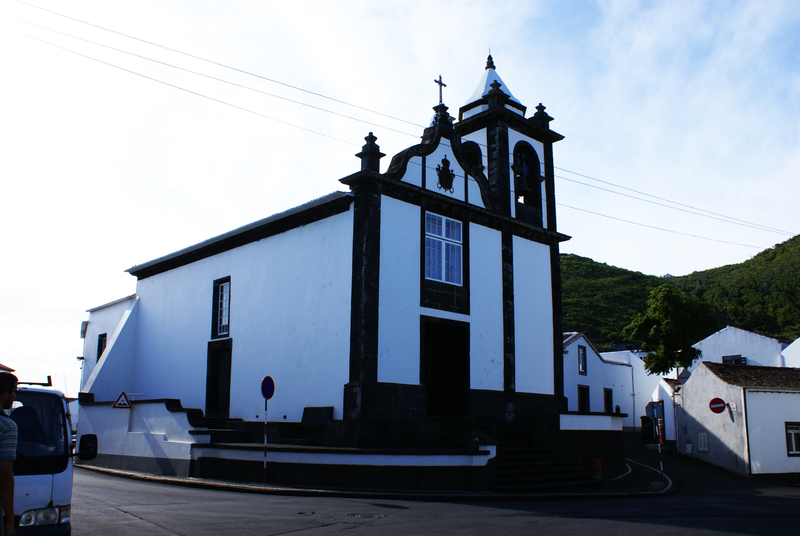 The Craftsmen Association of Graciosa Island, in Santa Cruz, opens its doors to present the methods used in hand-embroidered linen, made with a type of ancestral point and characteristic of Graciosa. 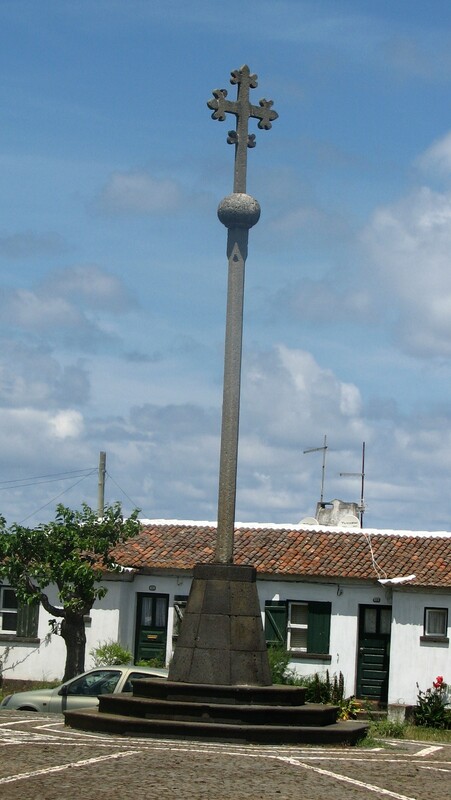 Cross bar – also known as the Cross of San Sebastian, this manufactory cruise is over 13 meters high, which rests atop a ball and cross, according to some authors, this was what he called the village. 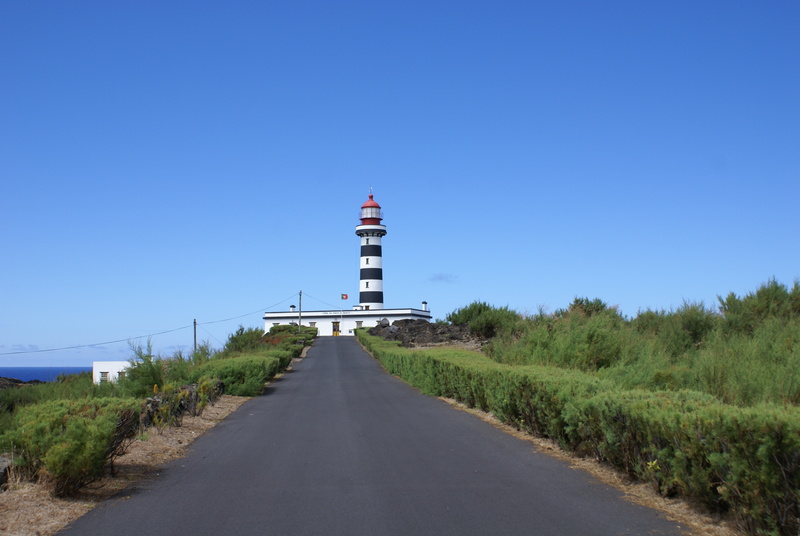 Ponta do Carapacho Lighthouse – also known as Farol da Restinga, dating back to 1956 and lies about 191 meters above sea level. 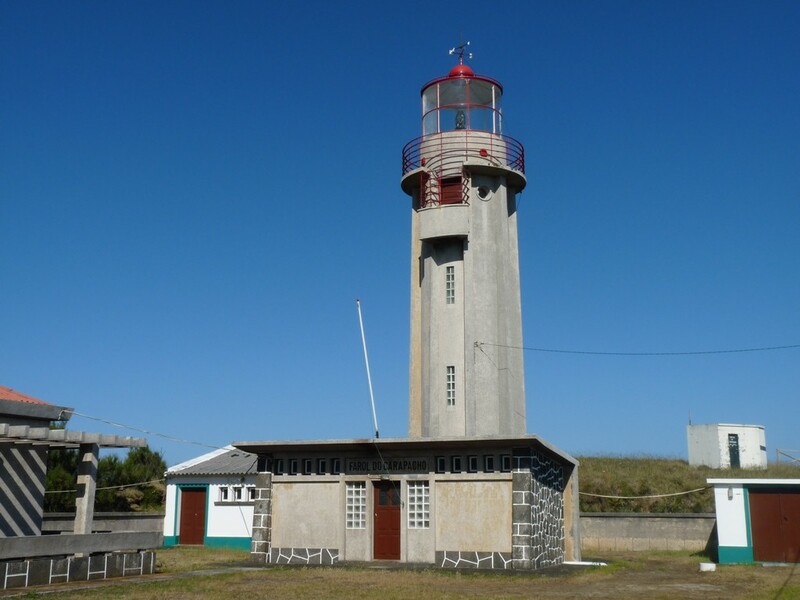 Ponta da Barca Lighthouse – a cylindrical tower 23 meters high, which was considered the highest tower of the Azores. This presents a panoramic view of the islet of Baleia. 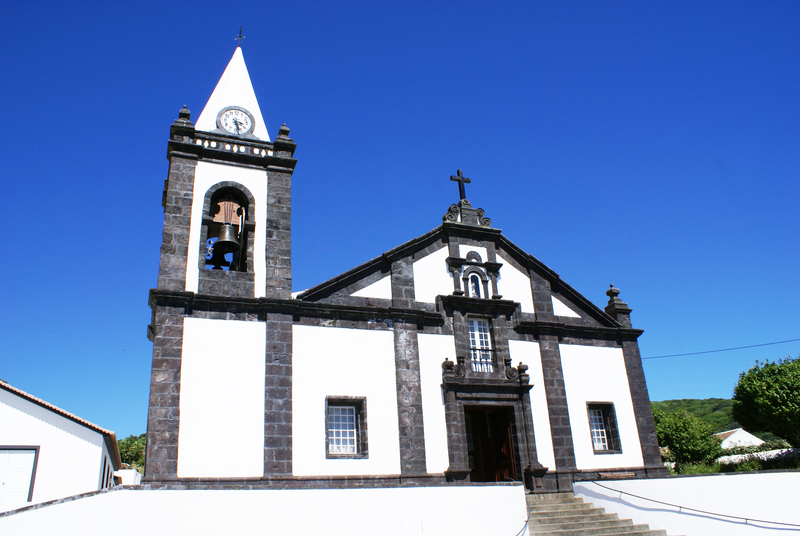 Misericordia Church of Santa Cruz of Graciosa – erected in 1600 by order of the Captain-Mor, Manuel Machado, in which Father Antonio Vieira preached. 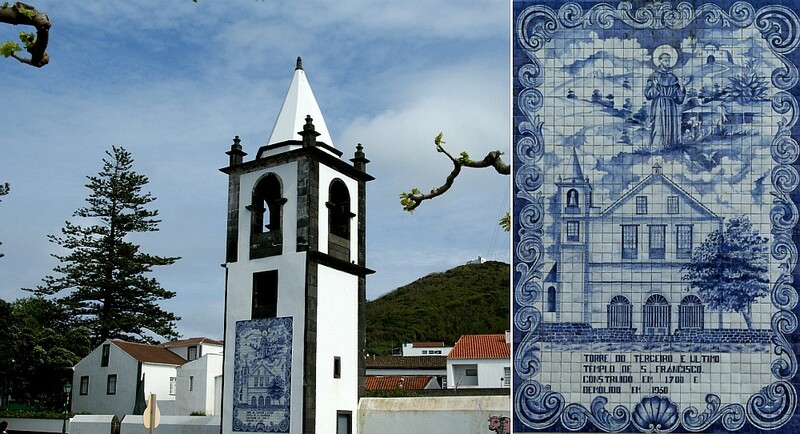 Tower São Francisco – belonging to the church of Our Lady of the Angels, formerly part of the old Franciscan Convent of Santa Cruz Graciosa, having been abandoned by the Franciscan friars, who came out of Graciosa in 1834 due to liberal policies Portugal. Since that date, the whole had several public uses, until 1946 it was demolished leaving only the tower. Bullring – is a crater of Mount Help, where are diverse Bullfights Square organized, especially in the Feast of the Holy Christ of Miracles. 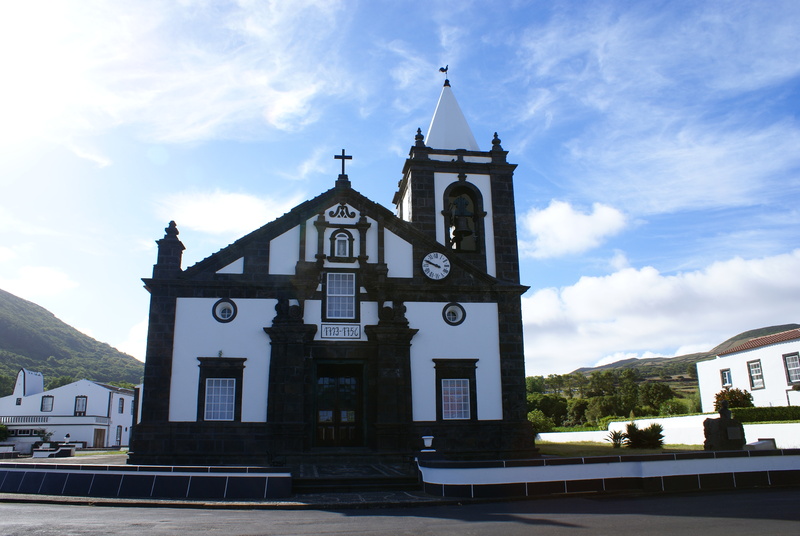 Church of Our Lady of Light – dedicated to Our Lady of Light, it was inaugurated on January 6, 1738, replacing a primitive church built in the sixteenth century and later destroyed by the seismic crisis of 1717 and the earthquake in 1730. Guadalupe Church – the eighteenth century, replaced an earlier chapel of the sixteenth century, which was housed the image of the Virgin of Guadalupe, delivered by the first settlers of this place. Its construction was lengthy, lasting almost half a century, due to seismic events that have shaken the parish. 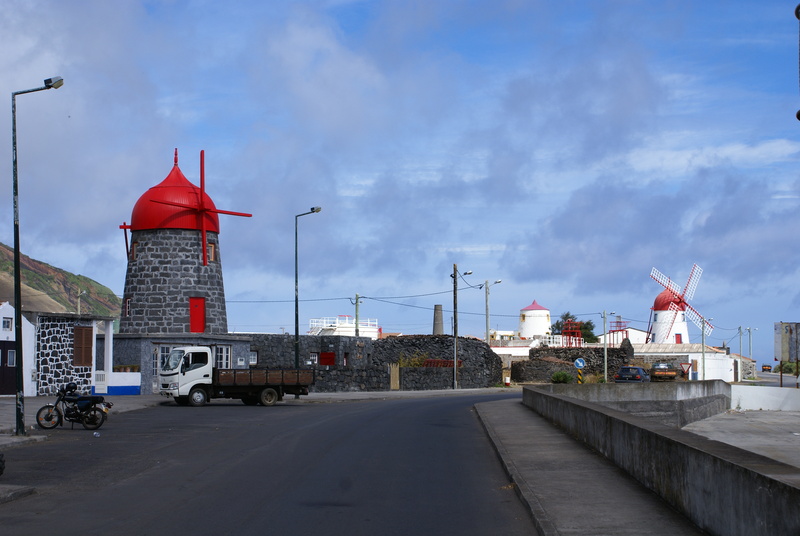 Windmills – about 20 mills inspired by Flemish art, with red domes, which testify to the production of cereals during the times that were exported and earned the barn title of the Azores to Graciosa. Largo Santa Cruz – in the center of Santa Cruz, this large square is accompanied by a garden and paul and is lined with cobblestone. Sulphur Furna Visitors Centre – Furna Sulphur is classified as Natural Monument, as the cavity has a high landscape interest and is a unique example among international Vulcano-speleological. 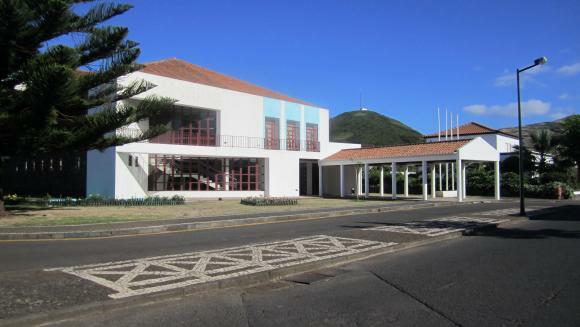 Ecoteca Graciosa – composed with library, laboratory, media library with internet access and thematic exhibition hall, this venue also hosts educational activities. 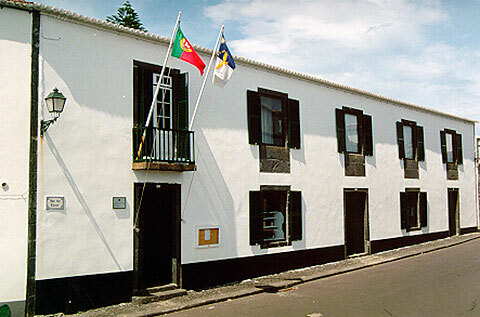 Museum of Graciosa – this presents several ethnographic and cultural aspects of Graciosa, with the representation of a typical house of the island with all its elements, still houses the winery, with mills and presses, agricultural implements and tools related to traditional crafts, like pottery. In your garden are cannons of fortifications for the defense of Graciosa. This also brings together two small museums, one focused for whaling, with an old tent of whaling boats, and another focused to the activity of the mills, with a typical island mill, instead of Fontes.